Jeffrey’s goal is to coach and instruct functional human movement principles and properties through exercise. All teachings and applications will be thoroughly researched and supported with clinically derived, peer reviewed and accredited research material. Upholding safety is a non-negotiable requirement, without exception. He will consult under the philosophy that fitness is a continuous life long journey involving the mind, body and spirit. Kevin ventured into the world of CrossFit after years of unsuccessful training regiments in classic gym settings. Since joining Humble Beast CrossFit in October of 2014, his fitness journey has been slow, but steadily forward, sprinkled with an occasional side of ego-induced injuries. By turning multiple setbacks into comebacks, and eating his fair share of humble pie, Kevin epitomizes mind over matter and will be the first person to tell you it’s okay to fail. The culmination of all his experiences at Humble Beast CrossFit led him to begin coaching in June 2018. His commitment to the community spirit, coupled with years of specific programming knowledge, will help you feel at home on Day 1. While working as a oncology Nurse, Lindsay discovered her passion for health and disease prevention through lifestyle changes. Since co-opening Humble Beast CrossFit in 2014, she has worked with many different people with various health and wellness needs in order to establish effective lifestyle changes that support their individualized goals. As an avid sports fan, Mylo grew up playing soccer and rugby as a youngster in South Africa, and was also a bit of a gym rat in high school. He loved running long distance trails and mountain biking in Cape Town, but found a passion for CrossFit when a friend invited him to check out a local box. While distance running can take a toll on your body, being able to do strength training helped him stay injury free for four years, and that's when he knew CrossFit was the real deal. Mylo is passionate about helping others achieve their goals and is able to share his passion for CrossFit as a coach. Jay was always active in a sport or hobby for the majority of his life. In 2002, he moved from Colorado and became a displaced skier and outdoor enthusiast. Chasing adventure, he tried sailing, kayaking, began his world travels, and returned to skiing and mountain biking. With age came unwanted changes to metabolism and a smidgen of too much apathy. He succumbed to the daily grind and became an expert couch potato. After realizing you are never too old, sick, or lazy to course correct, Jay discovered CrossFit in 2012. Following a great deal of trial and error, he was referred to Humble Beast CrossFit by his physical therapist where he learned to safely build and maintain a body for performance and functional movement. He became passionate about proper technique and learning how flawed movement affects biomechanics. As a coach, Jay hopes to serve our Humble Beast family. “Relax your body, and the rest of you will lighten up." - Haruki Murakami, "Norwegian Wood"
As an undergrad, Melissa studied sports medicine, rowed at a collegiate level, and realized her love for movement encompassed many aspects of fitness and lifestyle. After two years of assisting yoga classes she completed her 200-hour RYT (registered yoga teacher) with Rolf Gates and has continued as a hot power vinyasa instructor since 2011. Melissa is a model for proper movement and coaches with as much, if not more elegance and grace than she does when humbly flowing through her power vinyasa flow. Melissa is an active member of the Humble Beast Barbell Club and is known locally as the “squat jerker,” typically a great topic for start up conversation. 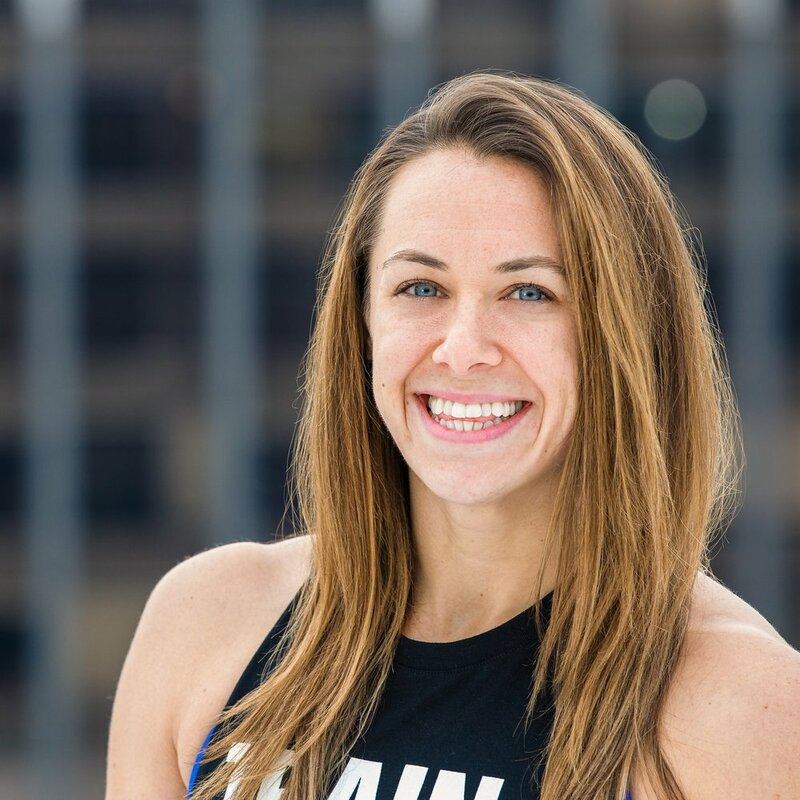 Spring of 2013 marked a turning point in Claire's personal fitness journey and career; she graduated from Georgetown University, earned her 200 hour yoga teacher certification and tried CrossFit for the first time. CrossFit's challenging workouts and welcoming community quickly hooked her, as she loved the empowerment she felt through building strength. The unequivocal physical and mental benefits of CrossFit and yoga that Claire gains through training inspires her to provide to the same to others. She strives to make your workout the best hour of your day! Lee grew up as an avid competitive soccer and softball player. She began her CrossFit journey in 2011 when she was tired of the regular gym grind: running endless miles on the treadmill and doing circuits on the Cybex machines. She unintentionally fell upon CrossFit when she bought a Groupon advertised as a boot-camp class. There, she got a taste of what CrossFit was, loved it, and has been doing CrossFit ever since. Lee joined a local CrossFit box, where she took classes under Jeff’s coaching, and followed him once Humble Beast CrossFit opened in 2014. Lee is one of the founding members of Humble Beast CrossFit. Over the past years of following Humble Beast CrossFit programming and nutrition, Lee had become stronger than ever and decided to become a CrossFit coach so that she could help make other people stronger and fitter! Colin developed his passion for health and fitness as an undergrad. He was introduced to lifting weights in 2003 and was immediately hooked. He shifted his traditional engineering studies to learn more about biomechanics of the human body. Colin found a way to merge his love of physics, sports, and human performance. Growing up a national level wrestler, varsity soccer and lacrosse player, Colin loves to train, compete, and be part of a team. His hobby and passion is Olympic Weightlifting with an emphasis on nutrition and injury prevention. Colin is a founding member and assistant coach of Humble Beast Barbell Club.